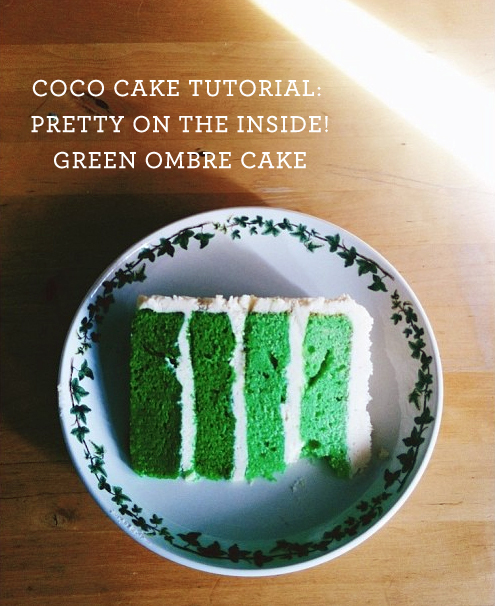 Pretty On The Inside: Simple Ombre Cake Tutorial! 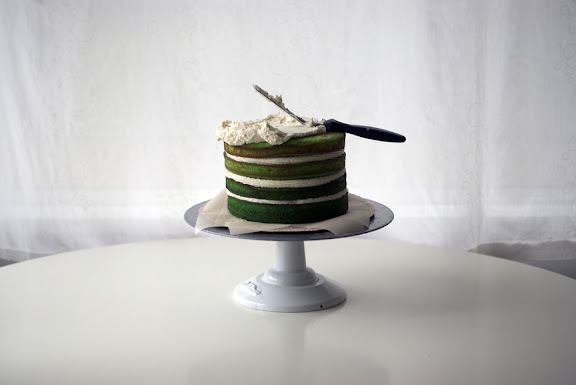 How about a slice of cake with that green beer? St.Patty’s Day is a “holiday” I don’t think I ever partied to. Might be because I’m not a very good drinker, and I tend to avoid huge masses of drunken party animals. However, coloring everything GREEN seems like a real blast! For an everything green party I’d serve guacamole, sliced cucumber, mint chocolate chip ice cream grasshopper pie, kale chips… okay, all those things sound kind of gross together!! 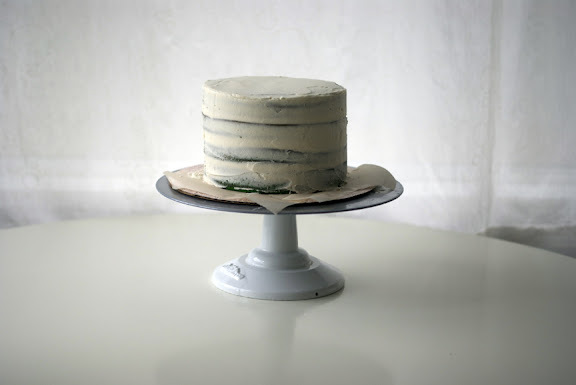 But how about a good old vanilla cake with green ombre layers?! So easy to make and always so exciting when you cut into it and the slices are so prettily colored. You can make this cake for any occasion, and follow the directions for any inside-colored cake! 1. Four medium sized bowls and four 7 inch round cake pans. 2. 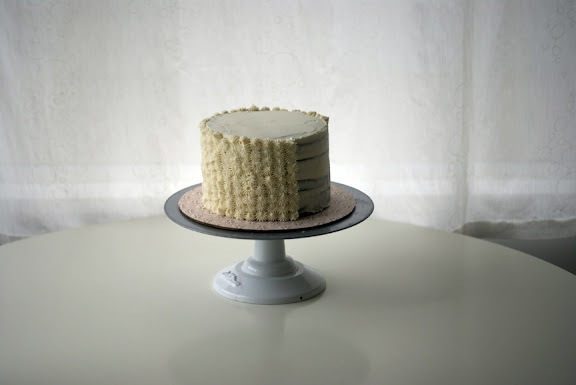 A vanilla cake recipe enough for four layers of cake. 4. Five cups of buttercream. You will need enough to fill the cake layers as well as make a crumb coat and pipe buttercream all over the cake. 4. An open star piping tip. For this, I used a Wilton 4B tip. 6. A cake board, cake stand or plate. I cover my own cake boards using craft paper, gluestick and a pre-purchased round cake board. 7. 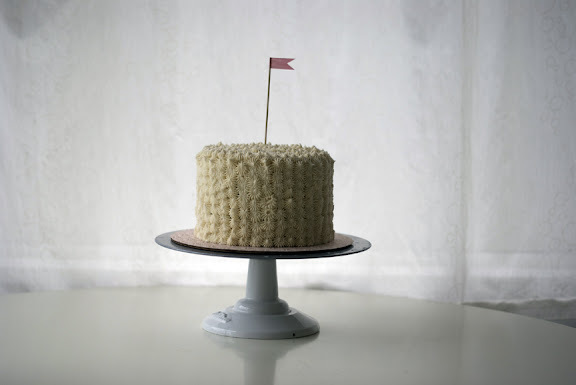 An offset spatula for frosting your cake – not crucial, you can also use a butter knife! 1. Prepare your cake batter. Now, divide up your cake batter evenly into four bowls. In the first bowl, add a dab of food colouring (the gel colour goes a long way, so be careful!) and mix batter with a spatula until coloured. In the second bowl, add the same amount but then a little more. In the third bowl, add even more… and the fourth bowl will have the most food colouring. You get the idea, right? Ombre? Place the first layer of cake on your cake board, fill with frosting, and continue to stack the coloured layers, starting with the darkest colour first. Then, start frosting the entire cake to create the crumb coat (the first layer of frosting). Now your cake is frosted! Get your piping bag ready. Snip off the pointed edge of the piping bag and nestle the piping tip into the bottom. 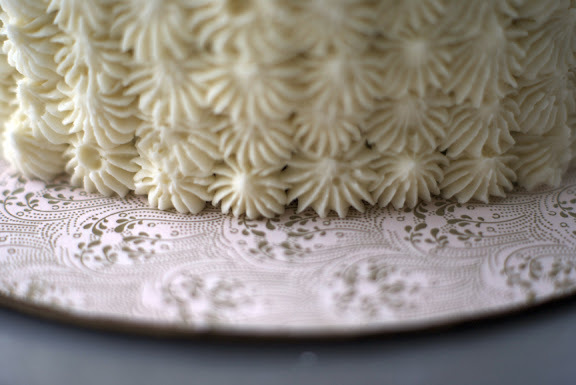 Fill the piping bag with buttercream, and begin to pipe the sides of your cake! Pipe all around the cake. 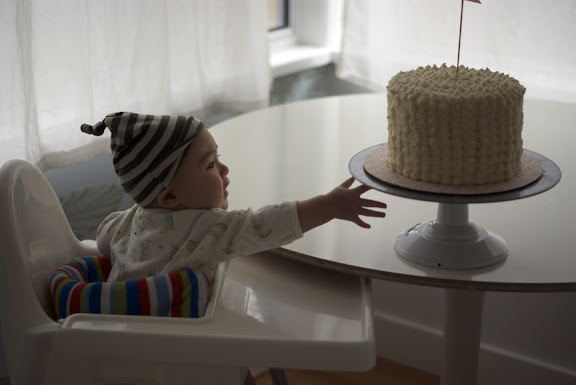 I usually start at the bottom and go up the top, then pipe the top of the cake, too! Above, a closeup of what the 4B star tip piping looks like! And finish your cake with a little matching party flag on top! See, no one’s going to know this cake has a green surprise!! 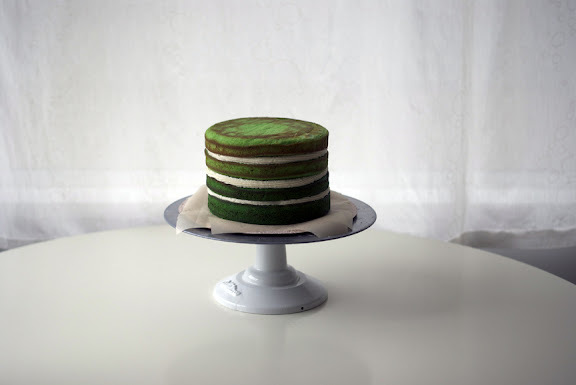 And that magic moment… a slice of pretty green ombre cake! Happy St.Patty’s Day everyone … ! Hope you enjoyed this short and easy little tutorial. Now I’m itching to make more ombre cakes in various colours… so fun! I like this cake… it is so wonderful green!